When you're tired of the same 'ol thing, and really craving something outside the box, I highly suggest you head to Trois Familia. This French-Mexican fusion spot comes from Chef Ludo Lefebvre, Jon Shook, and Vinny Dotolo, and is part of the highly acclaimed Trois Mec/Petit Trois family, so you know going in that it's got a lot to live up to. Just browsing through the photos above will show you how colorful and creative the dishes are, and I can attest that everything is just as flavorful and decadent as it looks. Some items on the menu may sound a little out there- beet tartare tostada? Parisian gnocchi? hashbrown chilaquiles?- and I wouldn't fault you for questioning if they'll work. Chef Ludo does what he does best, however, and blends the flavors and techniques of Mexican and French cuisines seamlessly. Each dish offers the comforts of what you'd expect, plus a surprising flair to make it something entirely different. The beet (not beef!) tartare tostada was a personal fave- the crunchy tostada was complemented perfectly from the fresh lime and avocado crema. 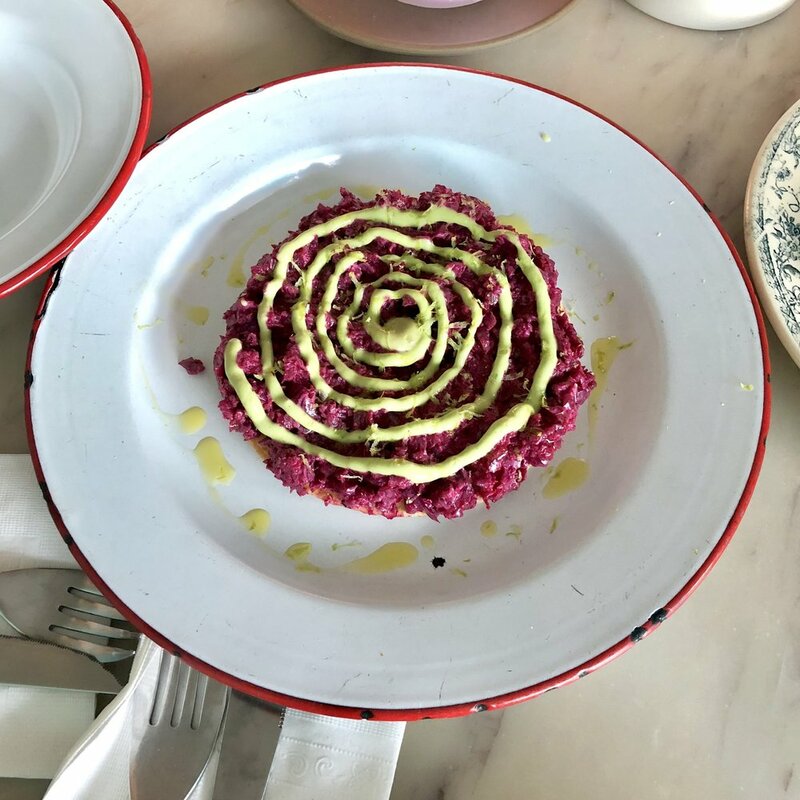 Also, how much does it look like real beef tartare?! 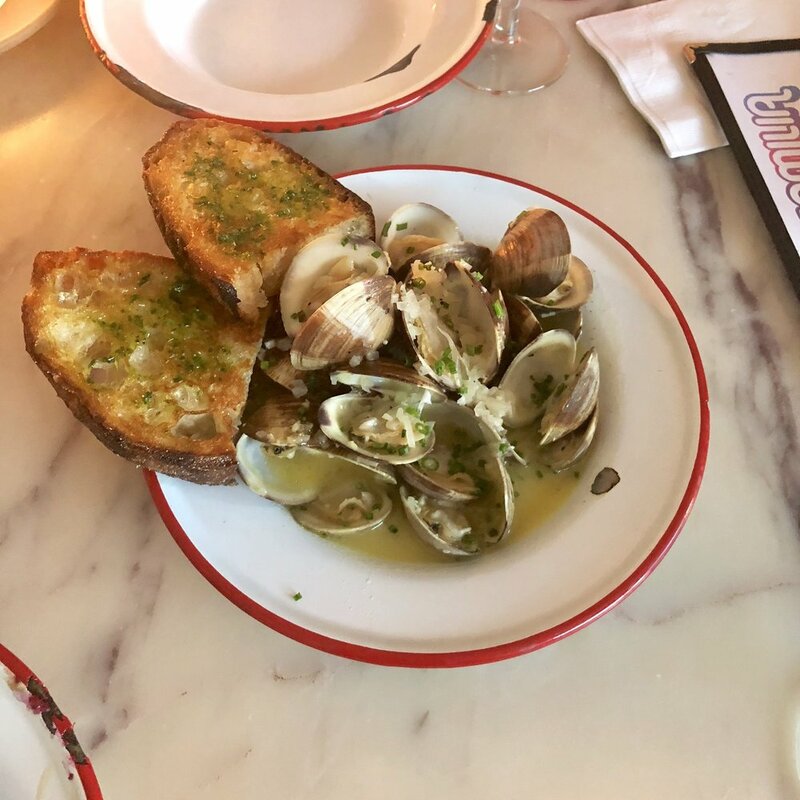 The mussels Marinière were packed full of garlic, white wine, and herbs, and the grilled bread was perfect for soaking up every last drop of sauce. Don't miss their signature tres leches birthday cake for dessert!